Princess Alice Maud Mary, the third child of Queen Victoria and Prince Albert, was born on April 25, 1843, at Buckingham Palace. She was the best-looking of Victoria’s daughters, but she was also kind and compassionate. She often visited the labourers who lived on the Royal estates, taking an interest in their lives and occupations. From her father, she inherited her practical nature. Prince Albert also devised her education, together with his close friend Baron Stockmar. The princess was taught, among other things, housekeeping, gardening, cooking, and even carpentry. Her childhood was spent travelling through the royal residences with her family. 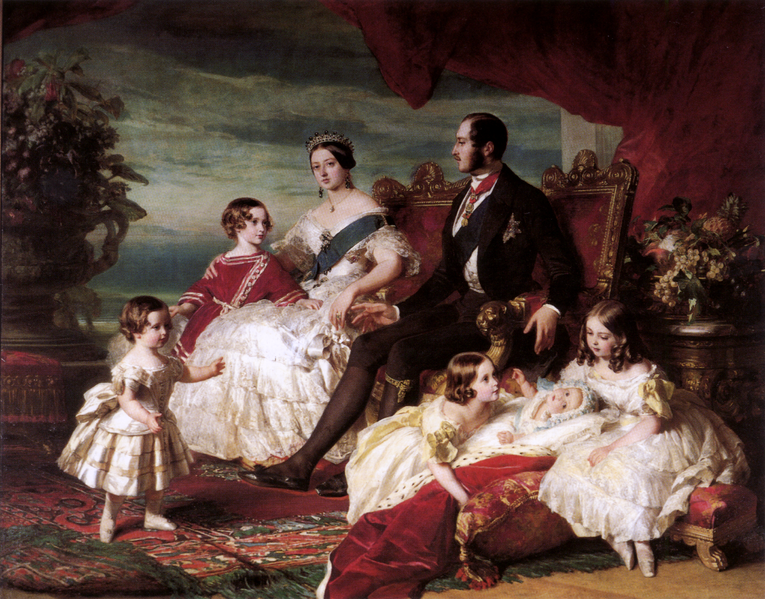 The young girl grew particularly close to her older brother, Bertie, and her older sister Victoria. Her kind and practical nature made her a natural nurse. In 1861, she took care of her dying grandmother, and, later in the year, of her dying father. After his death, she spent months trying to console her desperate mother, who would go on to mourn her beloved Albert till her death in 1901, and act as her unofficial secretary. But if Victoria’s married life was over, Alice’s was just about to begin. A few months later, she accepted the proposal of Prince Louis of Hesse and by Rhine. 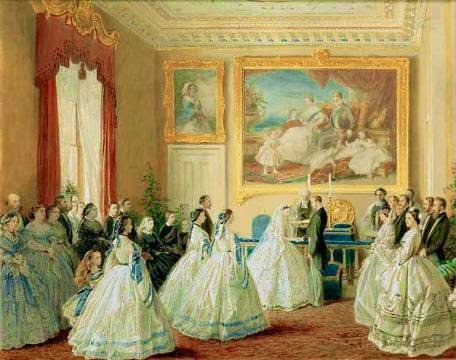 The ceremony took place on 1 July 1862 at Osborne House and, because the court was still in mourning, resembled more a funeral than a wedding. It didn’t bode well for the marriage, which turned up to be unhappy. Louis was a nice, kind man, but not as smart as Alice. Eventually, this took her toll on the relationship. There were other problems too. Alice also didn’t enjoy her life in Darmstadt, which was marred by impoverishment and disagreements with her mother-in-law. Still, that didn’t stop the couple from doing their duty. 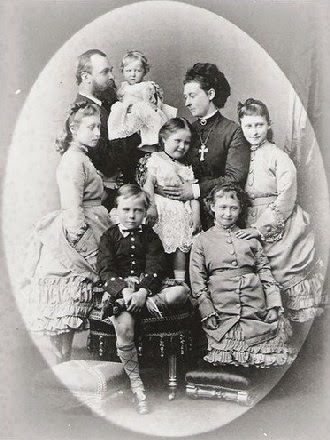 They had seven children together: Victoria Mountbatten, Marchioness of Milford Haven; Princess Irene of Prussia; Ernest Louis, Grand Duke of Hesse; Prince Friedrich Wilhelm August Victor Leopold Ludwig of Hesse and by Rhine; Princess Marie Victoria Feodore Leopoldine of Hesse and by Rhine; and the unfortunate Grand Duchess Elizabeth Feodorovna of Russia and Alexandra Feodorovna, Empress of All the Russias, both of whom would be murdered by the Bolsheviks during the Russian revolution (luckily, Alice didn’t live long enough to witness the tragedy). Alice shocked her mother when she decided to breastfeed her children. In the meantime, Alice continued her nursing work, establishing women’s hospitals and nursing schools. She also became a good friend of Florence Nightingale. 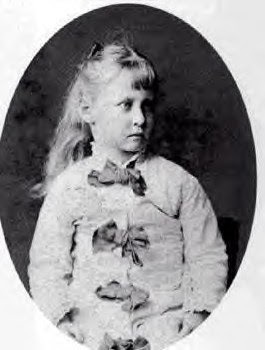 In 1873, Alice lost her favourite child Friedrich. The poor boy, who suffered from haemophilia, died after falling from a window. The princess was devastated. Four years later, her father-in-law died too. Alice was now Duchess of Hesse, but the title didn’t make her happier. 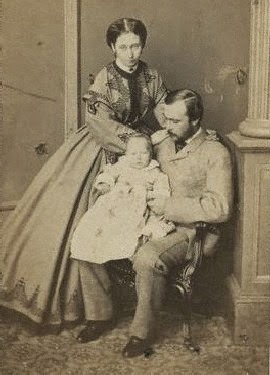 She still had problems with her husband, her relationship with her own mother was deteriorating (Queen Victoria didn’t understand Alice’s interest in breastfeeding and gynaecological matters and, happy in her deep mourning, hated her daughter’s attempts to cheer her up), and the people in her new country had never warmed to her. Alice found the duties attached to her new position a strenuous burden, but she didn’t have to carry it for long. In November 1878, Louis and the children (apart from Elizabeth, who had been sent away), fell ill with diphtheria. Alice nursed them, but she couldn’t save her daughter Marie, who died on 15 November. Alice herself fall ill almost a month later and died on 14th December, the 17th anniversary of her own father’s death. She was only 35. She was buried at the Grand Ducal mausoleum at Rosenhöhe outside Darmstadt. Princess Alice: Queen Victoria’s forgotten daughter by Gerard Noel.